Google+ turned two years old today. To celebrate, Google has announced an updated Follow button, a new Communities badge, and updated badges for Pages and Profiles. 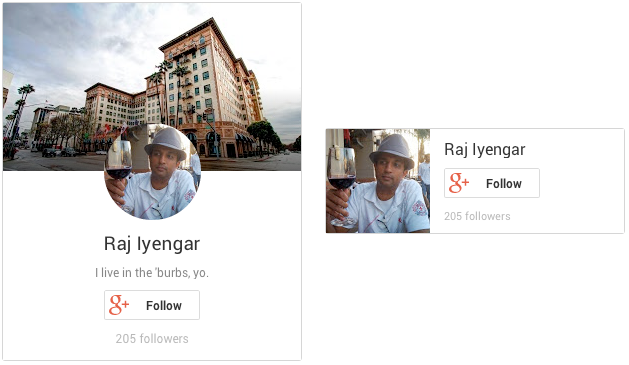 Above you can see how the button looks when you have yet to follow the Google+ user (left), when it is clicked (center), and after you have followed the individual. Since Google+ is all about circles, this button lets you add someone directly to your circles when you follow them, just like on the actual social network. Next up are the new badges. Google says Community managers have been asking for a way to attract members across the Web, so it is introducing “highly configurable” badges for Google+ Communities. Clicking the Preview button will open up the community page in a new browser tab. From there, visitors can view recent posts as well as join. 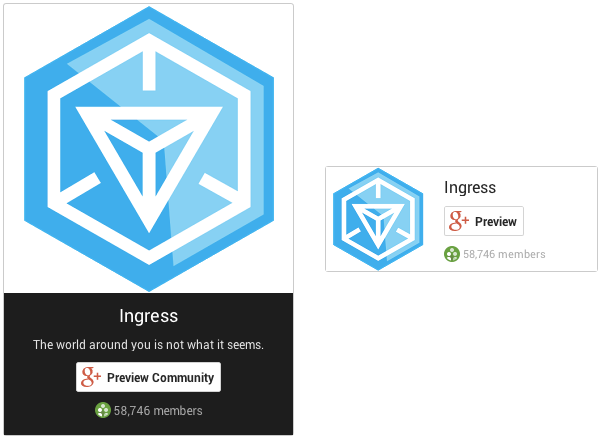 Google+ already had badges for Pages and Profiles, but they’re getting an update today. They are also more customizable, allowing for portrait and landscape modes, light and dark themes, as well as letting you turn certain items like the cover photo and tagline on or off. The current badges will still be available for “up to 90 days,” meaning you have about three months to switch your site to the new version. 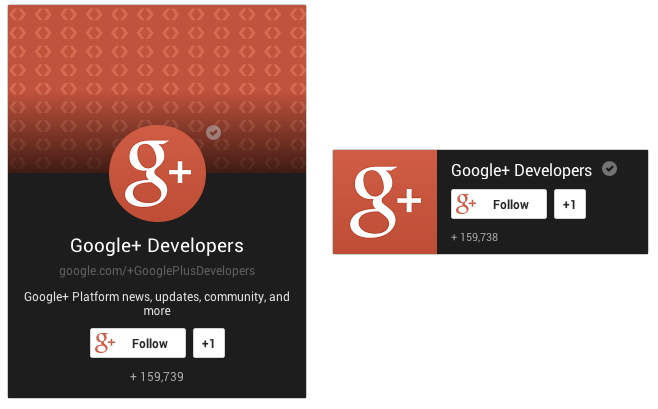 After that, Google will automatically upgrade any Google+ badges to the new design. Today’s changes aren’t massive, but we know Google can’t pass up an opportunity (like a birthday) to roll out new features. The Follow button in particular should help the social network grow, though one could argue that what it really needs is a boost in engagement.